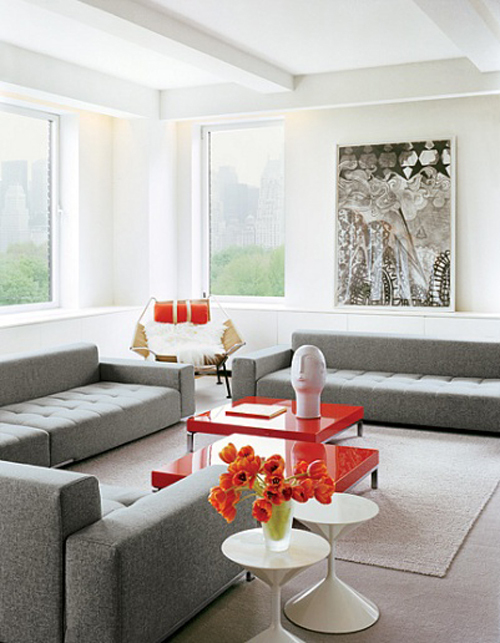 Loving the bright red laquer coffee tables color coordinated with the orange tulips and orange pillow on the Hans Wegner Halyar chair. Zanotta sofas, coffee tables and side tables. Clean and colorful. That pop of red really makes all the difference here.